Holy Week (the week before Easter Sunday) is most definitely a very sacred time of the year, for it is now that we will commemorate and remember the last week of Jesus’ life on this earth. These are the days leading up to the great Easter Feast. The Lenten season of sacrifice and self-denial is about to come to an end, but this coming week is extremely important for all Christians. The greatest focus of the week is the Passion (suffering) and Resurrection of Jesus Christ and the events that led up to it. Historical documents tell us that as early as the fourth century the church celebrated this “Great Week” with a feeling of profound sanctity. It begins with Palm Sunday, which marks Jesus’ triumphant entry into Jerusalem. The central feature of the service proper to this day, as it was in the earliest times, is the procession of palms. The palms are blessed and are then borne in procession to the church, where an entry is made with a certain amount of ceremony, after which the Mass is celebrated. The other notable and very ancient feature of the present Palm Sunday service is the reading of the Gospel of the Passion by three readers. Especially important for Catholics is the Easter Triduum. This is the three days just before Easter. On Holy Thursday, we re-enact the Lord’s Last Supper, which he shared with His apostles on the night he was betrayed and arrested. This is one of the most beautiful liturgies of the entire liturgical year. At the Mass, the priest will wash the feet of 12 men, just as Jesus did. Also on this night, priests all over the world will renew their sacred vows. This is because, at the Last Supper, Jesus not only instituted the Mass (Eucharist) but also the ministerial priesthood. On Good Friday, the day of the crucifixion and death of our Lord, we have the veneration of the Cross. A service is held at or around three o’clock in the afternoon (the hour he is believed to have died) and another later in the evening. We go forward and kiss the cross in order to show honor and respect for Christ’s sacrifice for our sake. There is no consecration of the Eucharist on this day, and the communion we receive will be from the night before, which has been reserved in the tabernacle. Holy Saturday is a vigil. We keep watch for the expectant rising of our savior. This was the day he went down into the netherworld in order to bring back up with Him into heaven those who had died before his coming. Up to this time, the gates to heaven were closed and no one could go there because of the original sin of our first parents. Jesus changed all that. By paying the price for our sins on the cross, He gained for us our eternal salvation, and heaven was opened once more. Also on this night, persons who have spent months of preparation will be received through baptism and confirmation into the Catholic Church for the first time. It is a joyous occasion. Those who engage themselves wholeheartedly in living the entire paschal cycle (Lent, Triduum and Easter’s 50 days) discover that it can change them forever. This is especially so of the Triduum, which, standing at the heart of the Easter season, is an intense immersion in the fundamental mystery of what it, is to be Christian. During these days, we suffer with Christ so that we might rise with him at his glorious resurrection. Holy Week is a time to clear our schedules of unnecessary activities. Our minds and hearts should be fixed on Jesus and what He did for us. Let us bear the cross, so that may be worthy of wearing the crown He wore. 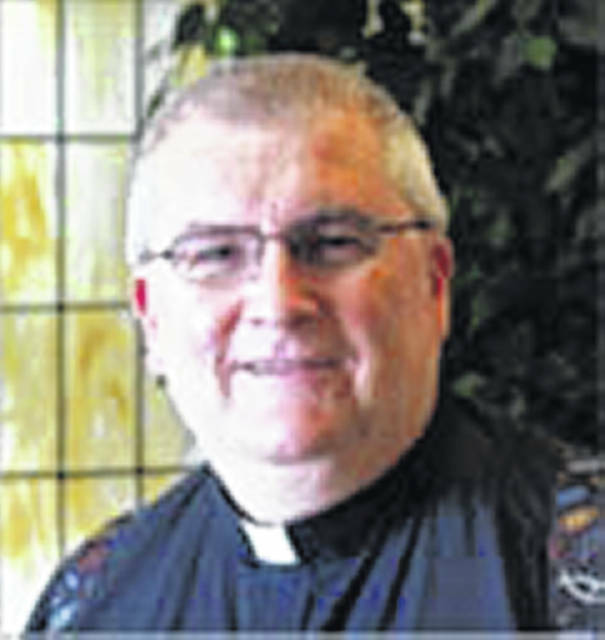 The writer is the pastor at St. Michael Parish, Fort Loramie and Ss. Peter & Paul Parish, Newport.